Do you know the difference between gelato and ice cream? 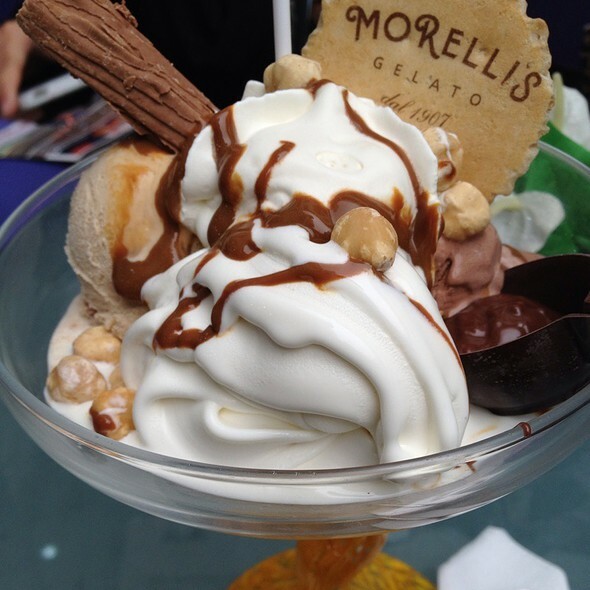 I didn’t either, so I went to the source of all things gelato—Morelli’s (www.morellisgelato.com). 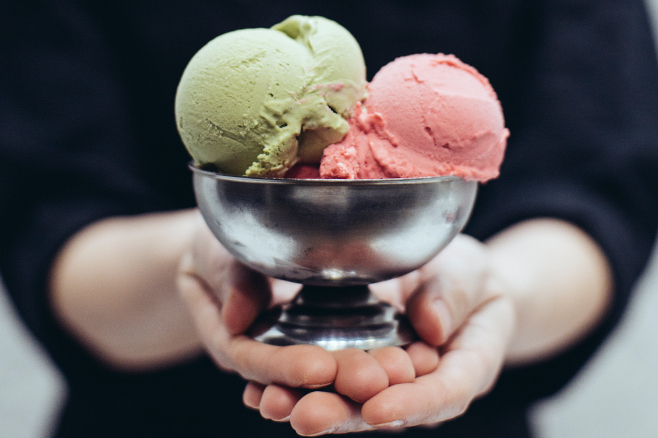 They’ve been making true gelato since 1907 are considered the final word on the topic by gelato aficionados. FAT. If fat (as in milk or cream) is emulsified into the base mix it becomes mixed in between the water molecules and literally gets in the way of ice as it freezes. SUGAR. This also forms a physical barrier to the crystallization process. When sugar is dissolved into water it forms a syrup which has a lower freezing point than plain water and the higher the concentration of sugar the lower the freezing point becomes. As water starts to freeze in a syrup, the unfrozen water becomes a more concentrated syrup. With reducing temperatures this process continues until eventually you have small ice crystals in a syrup so concentrated it will never freeze. AIR. This is incorporated into ice cream during the churning process. A more aerated ice cream has a fluffier, less dense texture. TEMPERATURE. The temperature ice cream is stored at also has effect: colder ice creams are harder and more solid, while warmer ones are softer, with a looser texture. 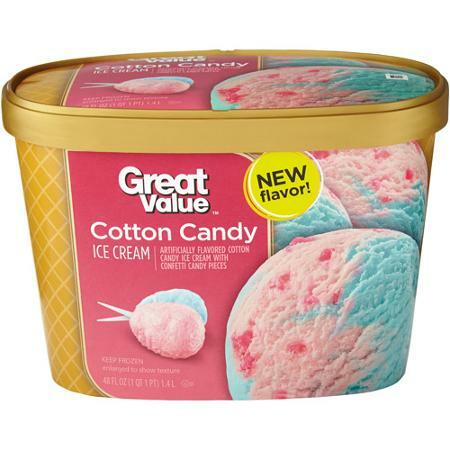 So, with the technical science lesson aside, the bottom-line difference between ice cream and gelato compared to today's American-style ice cream? 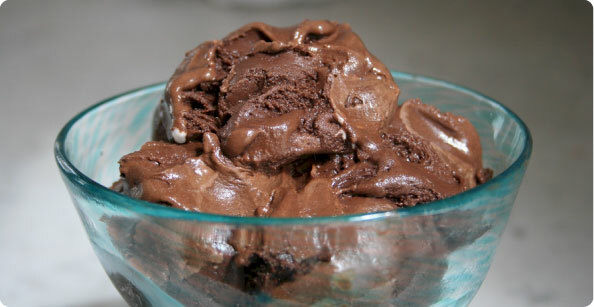 Gelato has less fat in the base and less air churned into it during the freezing process. American-style ice creams are generally heavy on cream, and have a fat content of at least 10% (which can be considerably higher in most homemade and many premium versions). Gelato uses more milk than cream, so it doesn't have nearly as much fat. “American-style ice creams are churned quickly to whip in plenty of air (called overrun) which is helped by the high proportion of cream in the base. 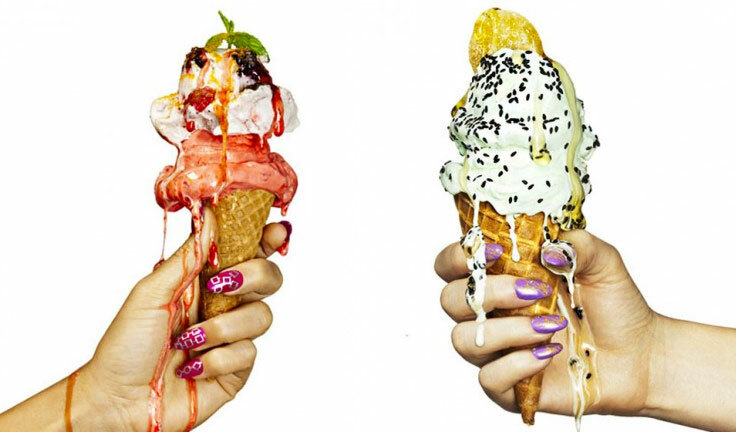 Most luxury ice creams have an overrun of around 25% which means they've increased the mix in volume by 25%. Cheaper commercial versions can run from 50% to over 90%, which gives them a light, thin, fast-melting texture with less flavor. In reality you are eating mostly air! “Gelato is churned at a much slower speed, which introduces less air into the base. So, you get more pleasure per mouthful with gelato! “All these differences give gelato a dense, milky texture that's less creamy than the fat-heavy American-style ice creams. So if gelato has less fat and air than ice cream, I have to ask, “Why it isn’t hard?” The Morelli family says this is because of the last big factor—TEMPERATURE! So now we know the difference between ice cream and gelato. And I’m sold on gelato. I want more “bang for my buck,” which means more real food deliciousness and less air. It’s expensive in the stores, though. So out of curiosity I went hunting for a make-it-at-home recipe. I’ll share what I found. I’ll be making lots of this—the 4th of July picnic is coming and I want to dazzle my family’s taste buds, which according to the Morellis, is exactly what gelato does! Beat egg yolk and sugar together. Heat the milk in low heat and remove from heat just before it starts to boil. Add the milk to the yolk mixture little by little mixing thoroughly. Heat the mixture again stirring occasionally until it boils and remove from heat. Add melted chocolate and mix thoroughly. Transfer to a chilled metal container and freeze. Stir it every 45 minutes to break any ice lumps and put it back in the freezer. Continue to do this 2 more times. After about 7 hrs of freezing, put it through a food processor (or break it up and stir with a fork). Serve immediately.